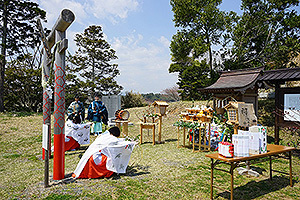 In the Kariyado area, Namie Town, Fukushima Prefecture, intangible cultural heritage such as “Shishimai (Deer Dance)” and “Kagura (sacred Shinto music and dance)” have been passed down from generation to generation. In 2011, however, all residents of the area evacuated due to serious nuclear accidents caused by the Great East Japan Earthquake. The succession of their folk performing arts also faced a crisis. 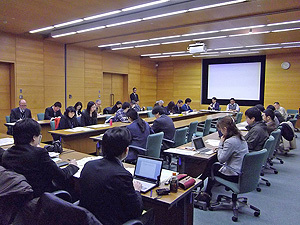 Therefore, the Department of Intangible Cultural Heritage conducted several surveys to accumulate information on Shishimai and Kagura, as well as the history and life of the area supporting such intangible cultural heritage, in order to compile it into a folk journal. 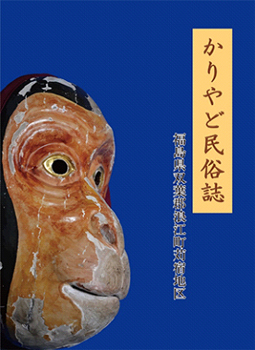 In March 2018, “Kariyado Folk Journal” was finally published. 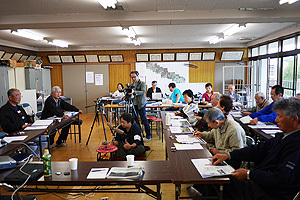 Although the residents were allowed to return to their homes in the Kariyado area in April 2017, only some households have returned now in a year. 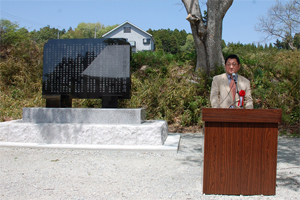 Under the circumstances, a “Monument for the Reconstruction of the Kariyado Area Devastated by the Great Earthquake” was built, hoping for the recovery of the area. 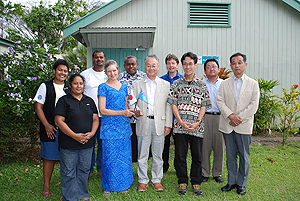 Its unveiling ceremony was held on April 21st and was attended by Hiromichi KUBOTA from the Department of Intangible Cultural Heritage. 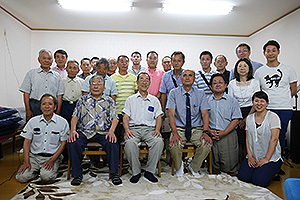 During the ceremony, the newly published folk journal, whose number of copies is large enough to be distributed to all households in the Kariyado area, was introduced to the public. We hope that this folk journal will contribute not only to the succession of the intangible cultural heritage of the area but also to the further progress of the reconstruction of the area. Top page of “INTANGIBLE.” The character on the left is Kobayashi, while the one on the right is Nyadeshiko. 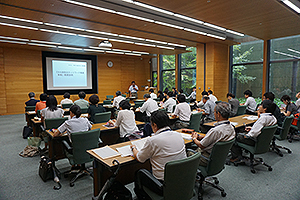 As part of the “Cultural Heritage Disaster Risk Mitigation Network Promotion Project” (a project subsidized by the Agency for Cultural Affairs), the Department of Intangible Cultural Heritage developed a website called “INTANGIBLE” to start its publication and operation for intangible cultural heritage lovers. 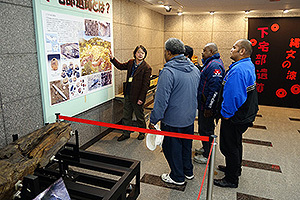 Prompt relief and recovery from the Great East Japan Earthquake were hindered due to very limited information on devastated intangible cultural heritage and its support. 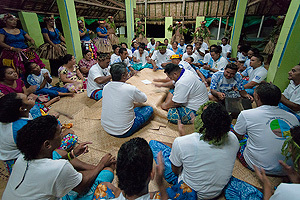 Particularly, intangible cultural heritage includes numerous assets other than designated cultural properties. To collect such diverse information, networks for the people involved and lovers were focused on. 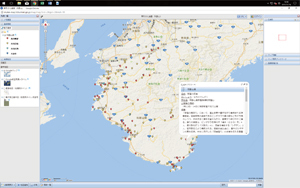 This website was started to share information required for the construction of such networks. 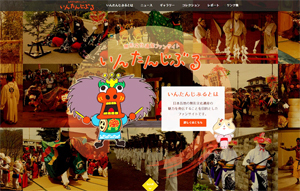 To attract as many web surfers as possible, news and backstage reports on intangible cultural heritage, as well as the gallery and collection pages for lovers, have been provided. Along with the unique characters of the website, friendly pages will welcome all visitors. 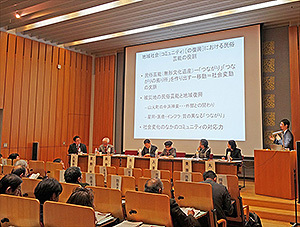 The Department of Intangible Cultural Heritage published the Report on the Study Project on the Preservation and Utilization of Intangible Folk Cultural Properties: Issues Regarding Reconstruction of Intangible Cultural Heritage from Disasters at the end of the last fiscal year. 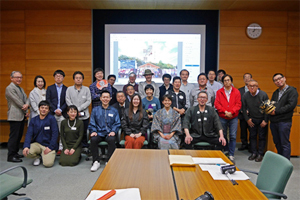 The publication is not only a report on the project but also a summary of what was discussed at the 3/11 Reconstruction Assistance: Intangible Cultural Heritage Information Network Conference. 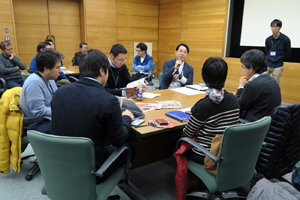 The Conference has been held every March since 2013 to discuss the reconstruction of intangible cultural heritage affected by the Great East Japan Earthquake with participants from various fields. Many of the issues, which reflect conditions that vary from year to year, are ongoing and the content of the publication may contribute to preventing cultural properties from being affected by a future natural disaster. 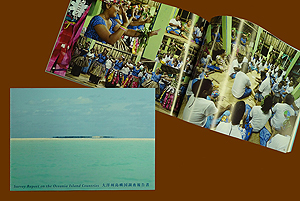 The department also published a booklet titled Cultural Heritage in the Region and Disaster Prevention, which summarizes the outline of the Project for Collecting, Organizing and Sharing Information about Regionally-designated Cultural Properties and of the Research and Study Project on a Dynamic Record for Preserving Cultural Properties. 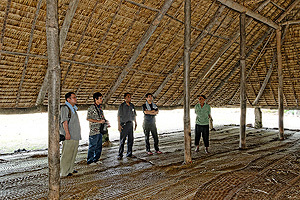 Especially for the project for collecting information on regionally-designated cultural properties, it is important as the first step to identify the location information of the properties by working with local governments. The publication spells out such significance and puts together how to move the project forward. 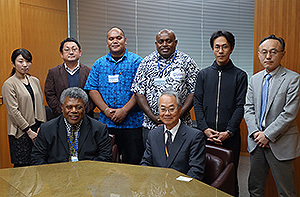 Issues Regarding Reconstruction of Intangible Cultural Heritage from Disasters is available in PDF format on the department’s website. In the Town of Onagawa, Miyagi Prefecture, locals refer to the lion dance as the “Shishi-furi.” In the Town of Onagawa, the lion dance has been passed down in most of the settlements dotting the rias of the prefecture’s coast. 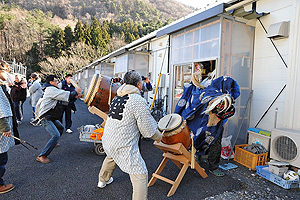 However, most of these settlements were devastated by the Great East Japan Earthquake, and many of the dance props and costumes were washed away. Despite this, there is a mounting call for the dance to resume. Fortunately, the dance props and costumes are being recreated with support from several sources. The revived lion dance was performed at Revive! The Lion Dance Performance that took place last summer. 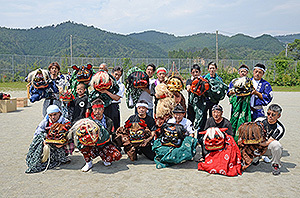 The lion dance was originally performed at New Year’s, but prior to the earthquake the dance was performed on the water during the Onagawa Port Festival at the end of July. Performers from each settlement would ride on fishing boats in a maritime parade. 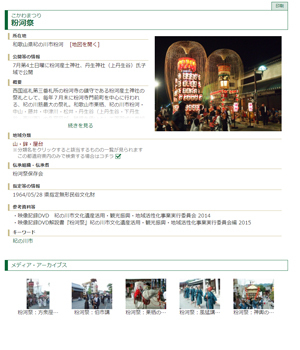 Although this event is a relatively new tradition, it is deeply ingrained in the minds of the people of Onagawa. Reconstruction of the port is not yet finished, so this year the performance took place on the field at an elementary school. Nonetheless, throngs of residents of the Town of Onagawa gathered to boisterously cheer on several wildly dancing lions [lion dance performers]. 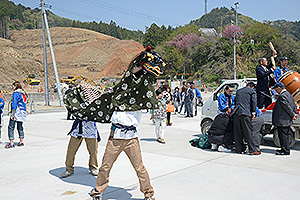 The Department of Intangible Cultural Heritage has continued to study the lion dance in Onagawa since the earthquake. 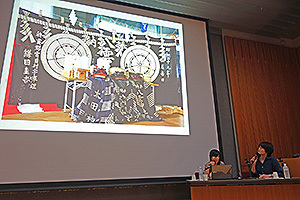 This year, the Department has worked on creating an ethnography focusing on the lion dance.